This weekend's annual FREE MUSEUM DAY concludes today, Sunday -- it's fully covered in our Friday edition, AND a month ago in the Guide's "Events" edition. 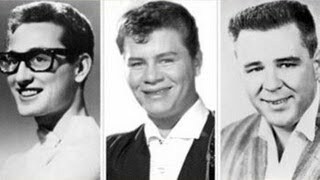 On February 3, 1959, 60 years ago today, Rock and Roll musicians BUDDY HOLLY, RITCHIE VALENS, and J. P. "THE BIG BOPPER" RICHARDSON (left to right in the photo montage) were killed in a plane crash near Clear Lake, Iowa after playing a gig on a whirlwind tour. The news media of the time, seeing rockers as an aberrant counter-culture flash-in-the-pan youth craze, gave little notice to the deaths of these early giants of the genre. 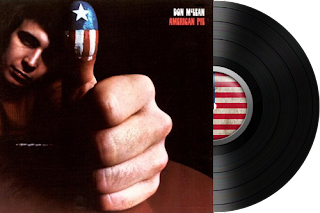 That would wait until the early 1970s, when singer-songwriter DON McLEAN would sweep the charts with his acoustic guitar and vocal hit, "American Pie." 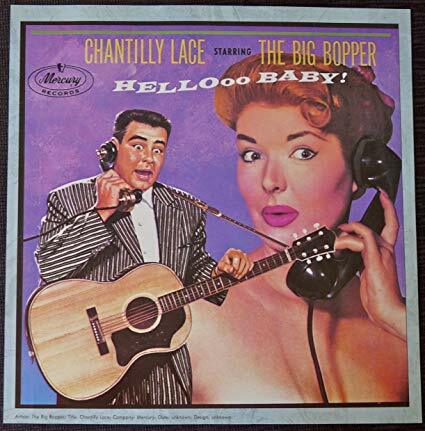 But it was always a larger hit for what it wasn't about -- the masses interpreted the song as being about the collapse of everything good because of the Kennedy assassination and the Vietnam War. College classes would even be taught about McLean's lyrical composition -- the symbology and sweeping cultural significance of the song and how it spoke for a generation. the era of assassinations began. Pie" -- dumb celluloid pablum that didn't use the song at all. For a GOOD movie, go find "LA BAMBA," the 1987 biopic about RITCHIE VALENS, the East L.A. Chicano musical prodigy who died with Buddy Holly. It stars Lou Diamond Phillips as Valens, and has fine performances by Esai Morales, Rosanna DeSoto, Elizabeth Peña, Danielle von Zerneck, and Joe Pantoliano. The movie shows how Ritchie had to accept his stage-name change from being the real Ritchie Valenzuela to musician "Valens" to be "acceptable" for national exposure to the American audience of the time. icons. It's a tough find today, and worth searching. 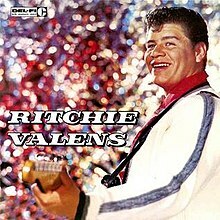 RITCHIE VALENS album was released a month after his death in 1959. 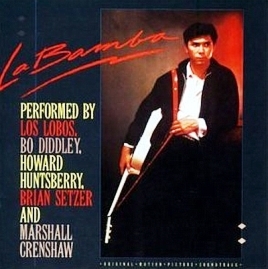 Where might he have taken the L.A.-based Chicano rock scene -- and its global status -- years before Los Lobos? 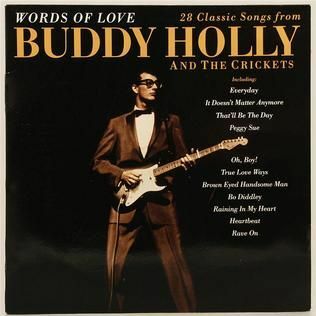 Now then -- what's this "breaking news" story that Don McLean sort-of told the Des Moines Register this morning that the song isn't really about Buddy Holly? If you enjoyed our feature, then a must-read for you is Prof. ROSS ALTMAN's piece in "FolkWorks," titled, "The Music Never Died." He begins with personal ruminations from the venue where Buddy Holly & co. played their final gig, then gets into some fascinating history of influences -- including HOLLY's, on a young BOB DYLAN, and the fact that a British band named The Quarrymen liked the "insect" name of Holly's band, THE CRICKETS, so they became... wait for it... THE BEATLES.